Yesterday a package from Martingale arrived and I was super excited to see that it was The Big Book of Strip Quilts !!! 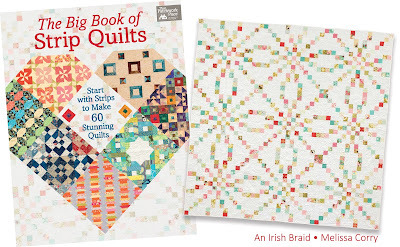 I got word a little bit ago that one of my quilts from Irish Chain Quilts was going to be in this awesome compilation book, and it was so fun to flip through the book and find that it is my An Irish Braid quilt that made it into The Big Book of Strip Quilts. So ya, all in all, pretty amazing day when this arrived!!!! The Big Book of Strip Quilts is chuck full with 60 Beautiful quilts made by so many amazing and talented quilters!! And they are all done with strip piecing, so you know that means they go together fast and are a whole lot of fun!!! For sure an awesome book to have for burning through those stacks of Jelly Rolls (don't tell me I am the only one hoarding these and other pre-cuts :) or Scrappy Strips. 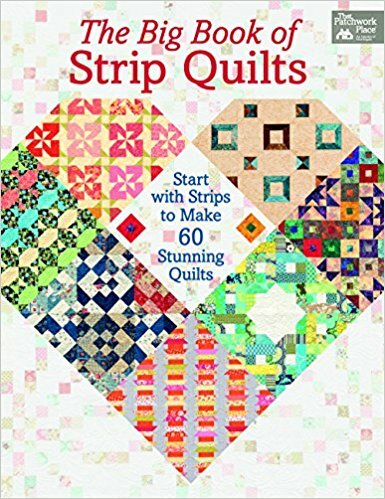 And to celebrate it's release, Martingale is giving away a copy of the The Big Book of Strip Quilts to one lucky winner!!! Be sure to pop on over to their Post to see lots more on this awesome book and enter the giveaway ;) Good Luck!!! Just downloaded the e-book today and here I read your blog. Congrats and so chuffed that I am actually following the blog of a very good designer. Congratulations. Your quilt is stunning and this book is amazing. 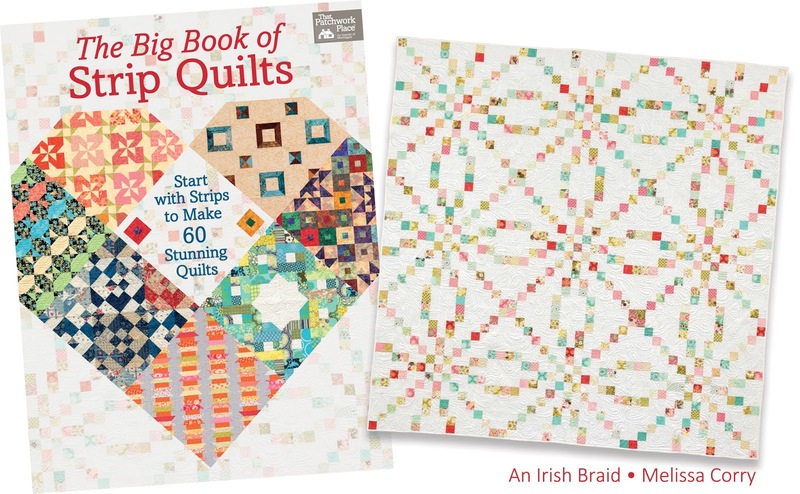 How exciting to have a quilt included and to be on the cover, even as the background, as well as title page too! Woo hoo. Congrats! Yes, your quilt is there because it looks wonderful! Congratulations, Melissa. Very exciting news for you. I saw your Ruby Jubilee quilt in St. George, and it was beautiful. How exciting for you! I just got my copy, and I recognized your quilt right away! Congratulations! Wow to see it in the book in so many places!! Congratulations! What a fun thing for you to discover. You know, the flip side of less than perfect quilting is that encourages people new to the skill that it doesn't have to be perfect to create a beautiful quilt. Congratulations! How exciting. It makes a great watermark. I'm sure your quilting looks fine. At worse it will help us feel better that we also don't do perfect quilting! Way to go, congratulations on a lovely quilt. Beautiful colours design, I hope to make this quilt. Congratulations Melissa! I know it is very exciting to see your project in print. It is so beautiful and I am sure the quilting is just as beautiful. I saw this on the Martingale newsletter a couple of days ago. Their blurb mentioned that you have a quilt in there and I went to their site to see if I could figure out which one. No luck, so I'm glad you spilled the beans! Congratulations. I love that pattern, they picked a good one. Talk about Happy Mail, this is the jackpot. Congratulations! I love growing simple daisies! i\m workintg on enlarging my mystery quilt that i finished a few months ago, and plan to really finish is, quilting and all and then go on to a wall hanging for the summer, and a tadler quilt for my gradndaughter!